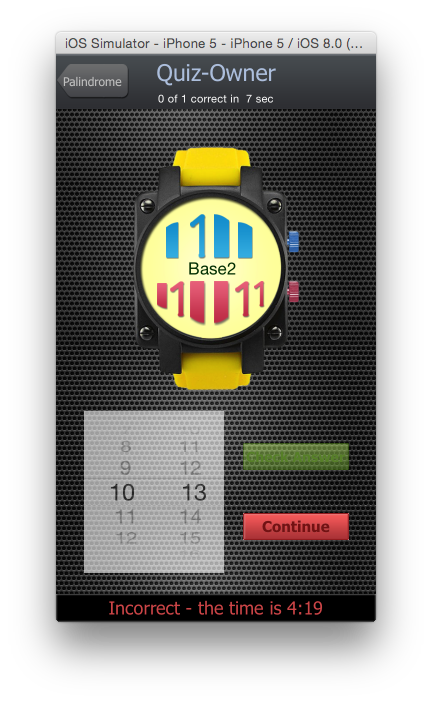 The Quiz screen provides a way to test your time telling ability against the clock. Best Times for each of the 5 options (see below) are saved. 2. Tap the specific whatch you want to use or tap the Rotating icon to use all 4 whatches in sequence. 3. Tap Owner or Guest –This is used to determine where to record a Best Time. 4. 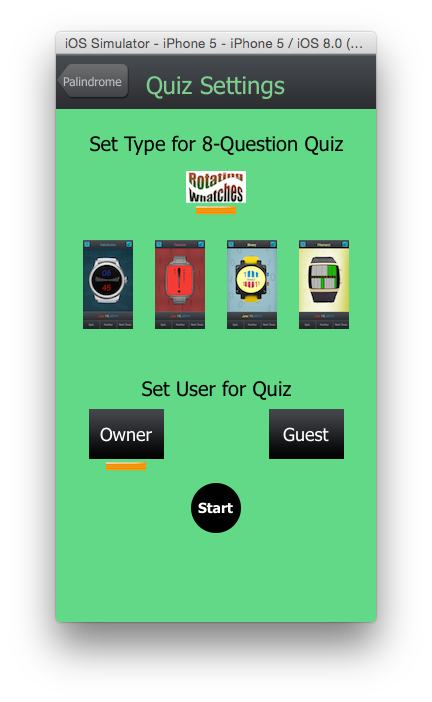 Click “Start” to begin the 8 question Quiz. shortest time your time will be recorded in the Best Times screen which you can access by tapping “Best Times” in the toolbar. 7. Return to regular time telling mode or take another quiz.